HARRISBURG, Pa. -- Pennsylvania's Cuban rum run got its start in a chance meeting last fall in the parking lot in front of the state Capitol. "'You know, we have rum,'" a visiting Cuban government liaison told state Sen. Chuck McIlhinney, who was walking to his car when he was introduced to her as the senator whose committee oversees how alcohol is sold in Pennsylvania. "And I'm like, 'Yeah, we should buy some.'" A few months later, the agency that controls Pennsylvania's 600-plus state-owned wine and liquor stores is working to lift the United States' 55-year-old embargo on Cuban rum, one of the island nation's best-known products. A purchase of Cuban rum by the sixth-most populous state would be, by all accounts, the biggest shipment of Cuban rum to the U.S. since John F. Kennedy was president, and could pave the way for the nation's private spirits wholesalers to follow suit. The embargo is on virtually all imports from and exports to Cuba, including rum. If Pennsylvania is successful, it would be the first import of a product produced entirely by the Communist state. The administration of former President Barack Obama allowed imports of charcoal produced by worker-owned cooperatives. Before he assumed the presidency on Jan. 20, Donald Trump criticized the detente between the U.S. and Cuba, tweeting that he might "terminate" it. New federal regulations on Cuba are expected, and Congress shows no eagerness to scrap the embargo. "We are, as we all know, in a transitional moment," said Pedro Freyre, a Miami-based lawyer who leads the international law practice Akerman LLP. "The new administration has sent mixed signals on Cuba. ... Nobody really knows where this will end." For Cuba, which ships rum to more than 120 countries, breaking the rum embargo would undoubtedly be an economic boon. The United States is the world's biggest rum consumer. "It does taste good, it does have mystique, it is a place known for a product, and we know we could sell it," McIlhinney said. Cuban rums - like its cigars - are considered some of the best in the world, and the finest Cuban rums are on par with the finest made in other countries, said Robert Burr, host of the Miami Rum Festival and publisher of Rob's Rum Guide. They would likely enjoy a year or two of wonderment in American stores and bars before the fascination wears off. 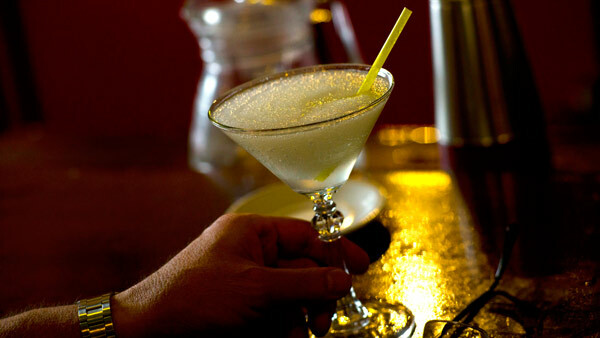 "The bartenders will be happy to have a Cuban rum to make a daiquiri, an el presidente or a mojito," Burr said. "The average person will be like, 'one more rum on a shelf full of rum.'" Private wholesalers are already exploring the avenue, according to Pennsylvania Liquor Control Board officials. Neither the Cuban Embassy nor the Treasury Department, which encompasses the U.S. Office of Foreign Assets Control, would answer The Associated Press' questions about it, although the embassy issued a statement acknowledging Pennsylvania is "interested in building a business relationship" with Cuba's state-run bottler. It's not clear how long a decision will take. "This is not a 'gimme,'" Freyre said. "This is not a, 'you file and you will get it.' They have very broad discretion. It could be an exercise of many, many months, if not a year." The process will be inevitably political, McIlhinney said, and state officials are working to get Pennsylvania's congressional delegation on board to advance the cause. For McIlhinney, the whole thing seems silly: What's the point of an embargo any longer? The Soviets are gone, he said. "I don't think that there's a national security risk," McIlhinney said. "It's not like we're sending computer technology or missiles or something. We're talking about buying a rum."